Linux can be a double-edged sword. It assumes that you know what you’re doing and gives you the freedom to do whatever you want. It won’t question you. This is convenient when you actually know what you’re doing, but it also means that you could conceivably render your system unusable within seconds. New to the Linux command line? No worries. Get started with our Linux terminal quickstart guide A Quick Guide To Get Started With The Linux Command Line A Quick Guide To Get Started With The Linux Command Line You can do lots of amazing stuff with commands in Linux and it's really not difficult to learn. Read More along with these 40 essential Linux commands An A-Z of Linux - 40 Essential Commands You Should Know An A-Z of Linux - 40 Essential Commands You Should Know Linux is the oft-ignored third wheel to Windows and Mac. 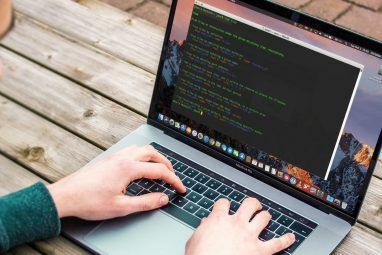 Yes, over the past decade, the open source operating system has gained a lot of traction, but it’s still a far cry from being considered... Read More . With those two resources, you’ll familiarize yourself with the command line in no time. But whether you’re a Linux newbie or veteran, you should never run a command unless you know exactly what it does. Here are some of the deadliest Linux commands that you’ll, for the most part, want to avoid. This line executes the remove command rm with two toggles: -r which forces recursive deletion through all subdirectories and -f which forces deletion of read-only files without confirmation. The command is executed on the / root directory, essentially wiping your whole system clean. Note, these days on most Linux systems if you tried doing this you’d get a warning. But the warning isn’t guaranteed, so just don’t do it. This command formats the hard drive to use the ext3 filesystem. Disk drive formatting How To Reformat Your FAT32 Drive To NTFS - And The Advantages Of Doing It How To Reformat Your FAT32 Drive To NTFS - And The Advantages Of Doing It You may not know it, but choosing the right filesystem for your drives is actually pretty important. Although the main idea of all filesystems is the same, there are many advantages and disadvantages over each... Read More is not an inherently malicious action, but it does “reset” the drive such that it’s “as good as new”. In other words, a formatted hard drive is like a blank slate. Formatting is useful for disk partitions and external drives, but executing it on an entire hard drive (such as /dev/hda) is dangerous and can leave your system in an unrecoverable state. As you can imagine, this renders it useless. Yes, there are legitimate reasons for zeroing a drive, but if you don’t know what those reasons are, then you’ll want to stay away from this command. Can you spot the danger here? The mv command tries to move the system’s root directory / into the black hole of /dev/null. This is a valid command and the result is devastating: the hard drive gets eaten up and there’s nothing left. Doing this will make your system unusable. Windows has its infamous Blue Screen of Death Windows 8 Crashing? How to Easily Troubleshoot Blue Screen & Other Issues Windows 8 Crashing? How to Easily Troubleshoot Blue Screen & Other Issues Windows 8 isn't perfect. That said, most blue screens and application crashes aren't Windows' fault. Our tips will help you identify exactly what's wrong with your PC and fix it. Read More . 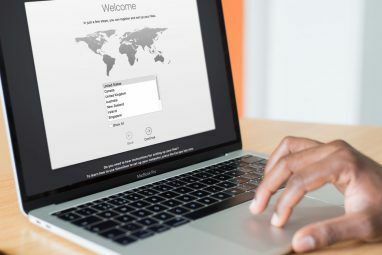 And despite the myths that float around, Linux is not a perfectly secure system 4 Cyber Security Myths That Must Die 4 Cyber Security Myths That Must Die Read More . Sometimes, an internal error occurs from which recovery is impossible, so the system will enact something similar to the Blue Screen: a kernel panic. The intricacies of the above commands aren’t important here. What is important is that running any of those lines will result in a kernel panic, forcing you to reboot your system. It’s best to stay away from these commands unless you’re absolutely sure you know what you’re doing. Bash is the language of the Linux terminal Is Linux Confusing? 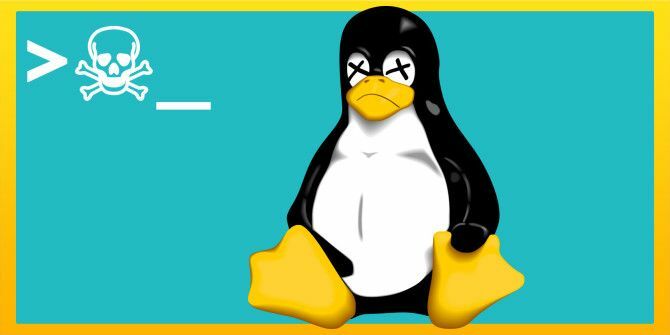 Here Are The Key Terms You Need To Know Is Linux Confusing? Here Are The Key Terms You Need To Know These days, Ubuntu and other modern Linux distributions usually install without a hitch (and without requiring any knowledge), but as you move forward using them, you will inevitably come across all sorts of terminology that... Read More and it’s powerful. Not only can it run commands but it can also run functions, which makes it easy to write scripts that can automate system tasks. Unfortunately, functions don’t come without their own set of risks. This obscure command is called a fork bomb, which is a special type of kernel panic. It defines a function named : that recursively calls itself twice when executed. One of the recursive calls happens in the foreground while the other happens in the background. In other words, whenever this function executes, it spawns two child processes. Those child processes spawn their own child processes, and this cycle keeps going in an infinite loop. The only way out of it is to reboot the system. The above combination downloads the contents of the given URL and immediately feeds it to the sh command, which executes the downloaded contents in the terminal. If the URL were to point to a malicious script, you’d be sealing your own fate with this command. Which is why you shouldn’t run this command. It force deletes both commands from your system without any confirmation, leaving you in a jam. There are ways to restore what you’ve deleted The Best Ways To Recover Data On Linux The Best Ways To Recover Data On Linux No matter whether it was your fault or not, things can happen to the data stored on your devices. Hard drives, solid state drives, and removable media can all potentially "lose" files because of numerous... Read More , but it’s not always straightforward nor will it be pleasant. Please, be careful! Don’t be afraid to play around with Linux Considering Linux? 10 Common Questions Answered Considering Linux? 10 Common Questions Answered Here are the most common questions that Windows users have about Linux. After going through this list of questions and answers, you should feel much more confident with trying out Linux. Read More and the command line terminal, but at the same time, do your research and never execute anything unless you’re absolutely sure what it does. If someone tells you to “try this command”, always double- and triple-check it. Have you ever run a destructive command? What happened? Did someone trick you into it? Share your thoughts and experiences with us in the comments! 6 Essential Apps for Photographers on Android and iOSWhat Can You Do With The New Raspberry Pi A+? Way back in the day, on my first Sun box, I was looking for space to free up on the hard drive and decided to delete some links that didn't look necessary, until the box had a kernel panic and wouldn't reboot. There was a long silence at the other end of the phone when I explained to my Sun VAR what I did. I ran rm -rf / for fun. I was needed to reinstalled my system. Why not just burn it. Removing sudo sounds fun. I'm trying to figure out how to build a localhost connection for web development access. I'm a self-taught learner, my apologies for my lack thereof proper terminology/terms. Doing "sudo rm -rf /*" WILL recursively delete *WITHOUT* any warning! Careful man, definitely lethal. It was run in the Terminal app on Ubuntu, and it crashed. I rebooted and lost all access to all user accounts, even though they were still there. I had to reinstall Ubuntu. 1 - On old systems, as root, 'kill -9 1' (or was it pid zero?) would kill the 'init' process, and crash your computer, and possibly trash your file system. However, newer systems won't let anyone (even root) do that. 2 - I once taught a Linux sysadmin class on a shared system. Since everyone was root on the shared system, we all had to be careful not to step on each other. Sure enough, halfway through the class, the system started to behave odd - someone had run mkswap on /. The unusual part is it took a while (30 mins or so) for the system to start acting odd (df reveals negative 3GB size, nothing in /etc, ...) - I'm guessing the cache was large enough to keep it running for a while. Had to launch my trusty Ubuntu LiveCD on my laptop, and do show and tell for the rest of the day - and get the system re-imaged by next morning. I may be wrong, but from what I've heard, "mv / /dev/null" won't work without a few additional options. I'm pretty sure mv won't overwrite a file with a directory by default. No problem. Cool post BTW. That said, it's better to learn it correctly as not all commands accept the 'r' alternative, or if they do it has a different meaning. For example, chown and chmod only accept 'R' for recursive actions. Thanks, I wasn't aware that it differed by shell. I'll have to remember to use capital 'R' from now on! The shell has nothing to do with it. The command is responsible for parsing the command line. Also, r is the traditional option. R is something new from the GNU version of rm. Oh, and the whole point is that R is what other file related commands use so you're maintaining consistency. Oh yes, slip-ups of any kind can be disastrous but the package manager is a definite place to be careful. Your example is pretty scary for newbies! Thanks for sharing it. I'm surprised that he didn't mention it either. Of course, it is the same principle as Weyrleader mentions above. It will only run until enough is destroyed that it cannot run--which sounds strange, but is essentially simple. At the point when this command runs across it's own config files or other needed files it will crash from destroying the files which tell it what to do--or part of them, rather. The fork bomb is the most ironic command here. It looks like a friendly emoji, but wrecks everything if you run it. Surprise the `shred -z /dev/sda1` command hasn't been mentioned yet. That's why you don't give regular users root priviledges. root is the administrator, and users should not be running as root (as with sudo -s) normally. If as a non-root user you delete your own files, well, they are your files. If you smash your own china cabinet, what can be said? Make sure you backed them up. I'm pretty sure as a Windows admin you can delete the server too. Okay, I admit, I'm not a Unix guy. But, it seems to me that you could use Unix to efficiently wipe a hard drive that you're discarding, even if that hard drive was used with a Windows computer. Help me out here, but couldn't you mount the target drive and run the dd if= /dev/zero but in the of= part of the command identify your target drive instead of /dev/hda? Seems like that would work just as well as purchasing some third-party app for wiping the drive. There is no such thing as a secure wipe. Why do people keep propagating this nonsense? The only way to "securely wipe" a drive is to physically shred it. urandom is slow, though it gives quite random numbers. Of course, there is also /dev/random, but it is even slower. This way you can overwrite with random data. 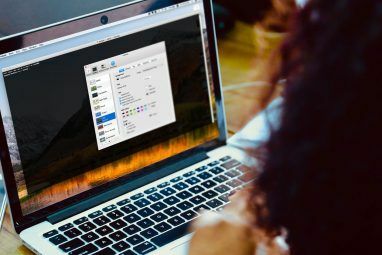 If you want to try anything questionable like the commands in this article, all you have to do is build a simple Linux virtual machine and save a copy of it that works. Then, you can run almost anything (except for very sophisticated hacks that may be able to break out of a vm) and all you'll risk is the vm itself - which can be restored from a backup ... You do backup your main system, don't you? Easy enough to try each one. Set up a distro in a VM, make a copy of the VM file, run one of these killers, then replace the wreckage-strewen VM file with the copy and then try the next one. for basic or starter Unix user's these commands are to advanced to use. If they are following a forum and "incorrectly" type some of these commands they will have a problem. I'm a bit of a novice in unix and never once came across these commands till now. Ps your forgetting su or sudo before every command. Can we get a video of someone running al of these?????? That may not be the case with all Linux distributions or other unix-like OSes. Of course, the easiest thing would be for the author to cite the distribution on which he tested each of these "issues". Even easier, perhaps the author could reveal the distribution on which he tested all these dangerous commands. For "Disable Root Command Rights", one would still have the option of either logging in directly as root (if so enabled) or booting to single-user mode. For "Cause Kernel Panic"...you have to run any of those commands as root in order for them to have any negative effect. I think you could distill all of these down to one rule: Don't Be Root Unless You Know What You're Doing. The mv to /dev/null certainly works if you log into an Android phone via adb shell, and try to delete something that way! I'm an old Unix developer from Bell Labs days. I once needed to reinstall Unix on a computer and thought I'd try the "rm -fr /" command before wiping the disk for reinstallation. It does ruin the system, but it doesn't remove everything on the disk. In fact it only gets to a small amount of the files before crashing the system. The number of files deleted depends on the order in which their deleted. Which depends on the order in which they were installed when the OS was first laid out. So, although this command's result is essentially as deadly as described in the article. It's not nearly as destructive as you state. This replaces the 'remove' command, 'rm', with the same command, but adds in the switch '-i', for 'inquire', which will ALWAYS ask you if that's what you really want. If you want to use the big hammer, you just type the full path to the command, '/bin/rm', which will override the alias. 'man' stands for 'manual', and apropos is short for 'man -k'. Basically 'apropos' searches the description lines of all the manual entries for keywords. BTW, you can 'man man' to get the manual for the manual. and after that it was nothing left since on this system that alias wasn't in place.